Larry* never wanted to lead the biggest electrical contracting firm when he first opened his doors, but he did want to be one of the best. He wanted customers to get great service. He wanted employees to be treated well and to have good jobs. He wanted a company that he could be proud of and for which others would be proud to work. And he succeeded. For 20 years, he ran a fine company that met or exceeded all of his hopes and plans. Until the doctors told him he had perhaps a year to live and would never see his 50th birthday. The cancer was inoperable and untreatable. That’s when Larry contacted us for help expediting his exit plans. Larry wanted to spend his remaining time with family. He also wanted to get maximum value for his company to ensure that his family would be financially secure despite losing him at a young age and despite facing significant medical costs in the months ahead. Larry wanted to sell as quickly and for as high a price as possible. Many potential buyers were contacted, and after months of work, Larry had two competitive offers from qualified buyers from which to choose. Offer #1 was for $18 million*. Offer #2 was for $14 million*. Both offers would allow him to make a quick transition, freeing up time to spend with his family and address his medical care. Both offers were all-cash deals. Larry reviewed the offers with us, his other advisors, and with his family. He took a few days to think about his decision and, as a devout man of faith, undoubtedly prayed for guidance as well. Then he accepted the lower offer of $14 million and sold his company. Why would anybody in his situation walk away from an extra $4 million? Why would any business owner, regardless of health, age, or any other circumstances, voluntarily relinquish that much cash? Not to be callous, but was Larry’s battle with his health interfering with his decision-making? Larry was perfectly sound and sane when he took the lesser offer. Larry’s medical situation may have been unusual and unplanned, but his decision to take the lesser offer is not unusual. For Larry, legacy vetoed price. 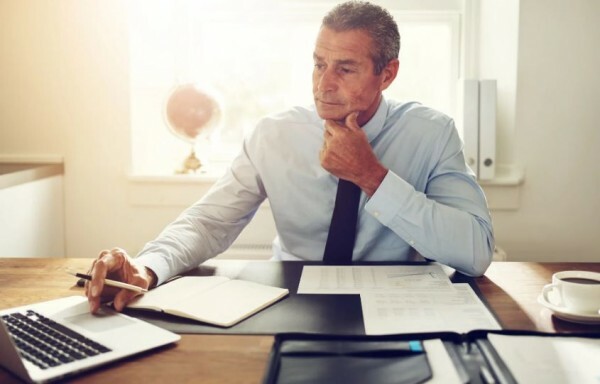 Larry had an additional set of concerns and objectives that he wanted to achieve when he exited from his company, beyond selling for the highest price. As the sale of his company drew near, Larry realized — like many owners do — that he strongly preferred to sell his company to a buyer that would treat his team and customers well. Larry cared deeply that his company’s reputation and values remain untarnished during and after his exit process. When it came time for Larry to choose between his two qualified offers, these other concerns were powerful enough that they could veto a higher sale price. Of the two offers Larry had to choose from, he knew both buyers by name and by reputation. The buyer making the higher ($18 million) offer was a local company. He strongly suspected that this buyer would let go many of his people and close down his facilities. He felt his customers would not be treated by this buyer in a manner consistent with his values. Larry also knew a bit about the company making the lesser ($14 million) offer, too. As an out-of-town competitor, he believed this buyer would keep Larry’s local team and operations largely intact and that this buyer would treat customers in a manner consistent with his high standards. Larry was pragmatic enough to know that he could not guarantee anybody’s jobs nor control the future of his company after he sold it, but Larry strongly believed that he should at least hand off his business to people who would govern it in a similar fashion. Larry’s decision was not an easy one. He had us crunch the financial models a dozen different ways to make sure that his family would still be secure if he sold his business for the lower price. (Ask us more about how to do this.) He demanded that we challenge his thinking and play devil’s advocate. But, in the end, he took the lesser offer because legacy can and does veto price. Larry would not have been mistaken or unjustified in taking the higher offer. Neither his family nor his employees would have faulted him if he had done so. And, in our experience, many owners do take the higher price with a justifiably clear conscience. But the lesson that Larry’s experience can teach all of us is that legacy concerns, such as whose hands you leave it in, are sufficiently powerful to outweigh a higher sale price. To learn more about the steps necessary for a successful exit, contact Tim for a complimentary consultation: 772-221-4499 or email.